Today I Wrote Nothing: On poetry, art, and why my blog is wack-tastic right now. On poetry, art, and why my blog is wack-tastic right now. Only ten dollars, they said! When whether to bathe was my only stress. 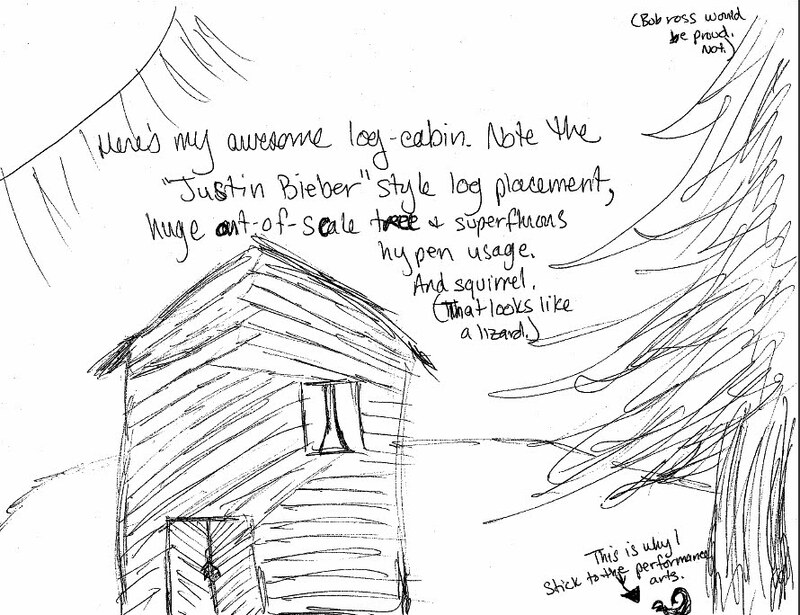 Katymylove drew this log(superfluous hyphen)cabin. I had NO idea that all this time she was hiding such mad skunk-drawing skills. And Katy, if you ever decide to retire as an opera singer, you should DEFINITELY consider architecture. 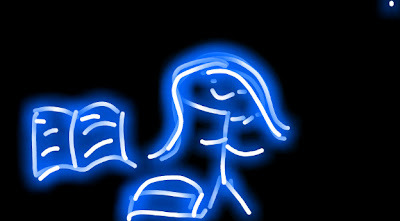 And last, but not least...it's Lealea's picture! 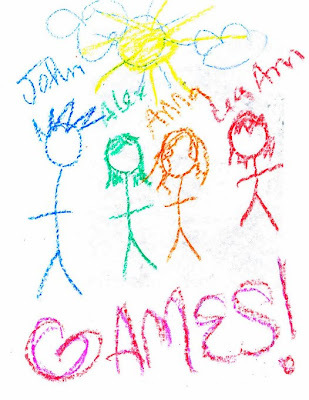 Well, okay, not * really * Lealea as much as her friend Anna, who can wield crayolas like nothing I've ever seen. 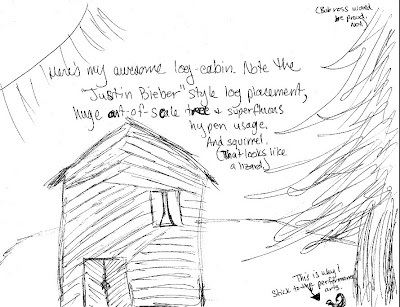 I don't know WHY my art teacher didn't put those on our supply list as a rightful medium. :) Mhm, thats my drawing! So proud. ooooh! I can comment now! A human, a book, a treasure box and what is the small dot in the corner? A fly? Yes, you're in limbo, but be patient. You're registering as dot com through my reader, but blogspot through my facebook links. It'll work itself out. Deee, I like to think it's a lucky star, because then the picture really DOES include all of my favorite things! Okie--YOU WERE RIGHT!! One of google's power-posters told me how to fix it and now it's working perfectly! This is so lovely! It was only a matter of time...also, I'm with you on the squirrel lizard. I'm so glad my squirrel lizard made such an impression. His name is Floyd.